One of the world’s largest drinks manufacturers had implemented changes to empower its local country and regional organisations to drive sales growth. Whilst ways to market varied from country to country, finding ways to improve customer access to products was a strategy common to all. The challenge for IT management was to make a contribution to this effort. Their response was to propose a cloud based solution to provide a web order portal to enable customers to place orders directly at any time of the day or night and with the minimum of customer services intervention. 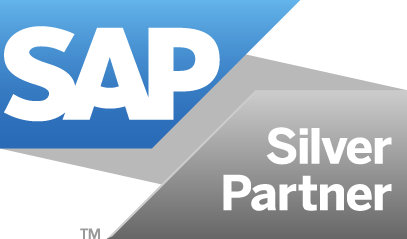 A third party solution was preferred to giving customers direct access to the SAP system, as long as it could be integrated. Ireland was selected as the pilot for the project, because the need was greatest and the benefits easier to quantify. Here trade customers order direct with the customer services team rather than via wholesalers. Consequently there are always a large number of small multi line orders often placed outside normal office hours via voicemail. Ironically it was those orders left on voicemail which often required the most customer service intervention, e.g. to ensure correct MOQ’s, to offer substitutes in case of stock outs, even to identify correct ship to and bill to addresses. IT management turned to their incumbent SAP consultancy to implement the cloud based web order portal. However, there being no tools available to integrate the solution with SAP, this consultancy proposed a very indirect method involving the use of flat files. Unfortunately this would require lots of checks and blocks and inevitably require lots of customer service intervention, defeating the purpose of the whole exercise. Coincidentally Pivot were working with the client on a broader strategy for integration. The Pivot consultant immediately understood the need for more immediate integration in this instance and that Pivot had the requisite skill sets to deliver. Pivot also recommended that the programme should be delivered in a series of ‘Sprints’ in order to deliver measurable benefits quickly and to learn, modify and improve in the process. Accordingly Pivot consultants wrote the re-usable code for the integration middleware and implemented the first 3 interfaces within 3 – 4 weeks. On completion of the pilot, customers were able to place valid orders 24/7. The integration provided almost immediate feedback to ensure each order was structured correctly, any relevant promotions highlighted and potential service issues identified to enable customers to make alternative choices as appropriate. Having delivered a successful pilot in Ireland, Pivot consultants then delivered the interfaces for the North American market, re-using the middleware code. Here the challenge is to ensure that orders are compiled to ensure maximum utilisation of the delivery vehicles for the major wholesalers.